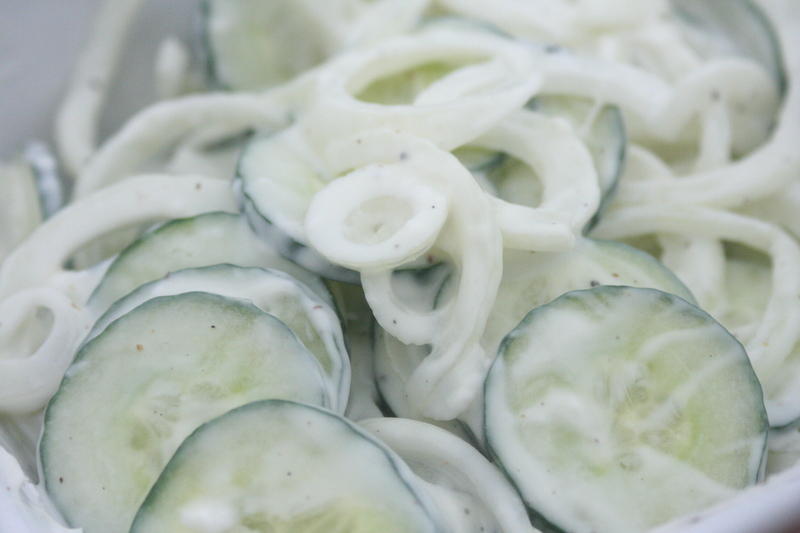 Cucumbers are one of my favorite raw vegetables. I especially like the English cucumbers - they are the seedless ones that are usually wrapped in plastic. I've noticed that cucumbers are generally the first to go on a vegetable platters and they make a great addition to lettuce salad. We always grow cucumbers in our garden and I enjoy coming up with different use for them. One of the simplest ways to serve it is sliced on a platter with salt, pepper, and vinegar. Today, I'm sharing a couple of other recipes that we enjoy. The inspiration for the first is a combination of my love tomatoes & cucumber together (I've been combining them in salads for years!) and the salads we ate in Kazakhstan which included lots and lots of dill. We ate something very similar to this and I loved it! 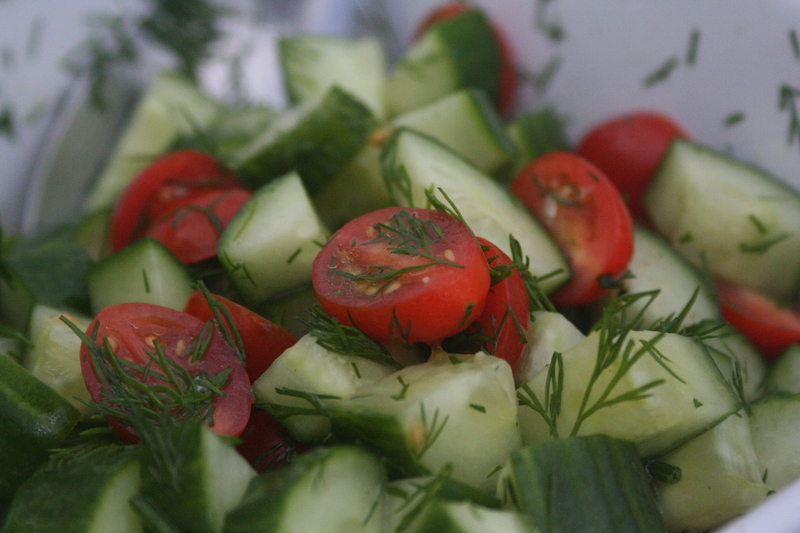 Combine cucumber, tomato, and dill. Sprinkle on sugar. Add salt & pepper to taste. Dress with olive oil and vinegar. Can be served chilled or at room temperature. The flavors develop if you allow the salad to marinate for at least 2 hours before serving. Serves 4. My mom has made cucumber onion salad for as long as I can remember. It frequents our family gatherings. It's also wonderful dressed with vinegar and oil. Combine cucumber and onion. Season with seasoned salt and pepper. Dress with mayonnaise & vinegar. Serve chilled and allow to marinate for 1-2 hours before serving. Serves 4.